Dish's internet-only TV service, Sling TV, has announced the availability of Cloud DVR support for the Apple TV, letting users record some (but not all) shows for later viewing. The option is currently in a rough "first look" state and costs $5 per month, Sling said on Monday. Previously, the technology only worked with Roku and Android devices, including Amazon streamers. With the feature active, subscribers can theoretically keep recordings as long as they want. Sling noted, however, that after the 50-hour mark, it will automatically make room for new recordings by deleting the oldest data. DVR functions are also blocked on some channels, presumably because of rights agreements. 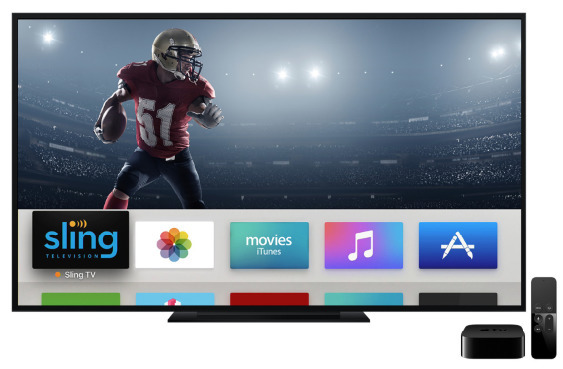 Apple TV owners must go to Sling.com to pay for the DVR package. The company didn't say when the option might expand to other platforms, like iOS, except to promise broader device support in the future. DVR functions are quickly becoming a dividing point among internet TV providers. While they're available on Sling, YouTube TV, and PlayStation Vue, all of those services have different implementations, and the option is still missing entirely from DirecTV Now. Hulu may launch its own live TV platform as soon as next month, but like Sling ask subscribers to pay extra for full DVR support.